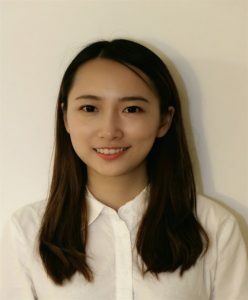 Connie Zhang comes to Barrett Capital with 3 years’ experience in advertising, marketing and editing. She has excelled at delivering key consumer insights, digital innovation strategy and marketing campaign support to propel pacesetting gains to web traffic, customer acquisition and ecommerce revenues. Connie holds a Master’s Degree in Communication Management from the University of Southern California and has demonstrated her proven knowledge of Google Analytics, Google AdWords, and Search Engine Optimization (“SEO”). We are fortunate that she will be putting her experience in Social Media, Copywriting, Web Development, and Client Management to work at Barrett. A fashion enthusiast, Connie moved from Los Angeles to New York to follow her passion. For fun, she manages a lifestyle blog, “Sweet Connie”, and enjoys being connected to other fashion geeks.